This 119,015 sq. 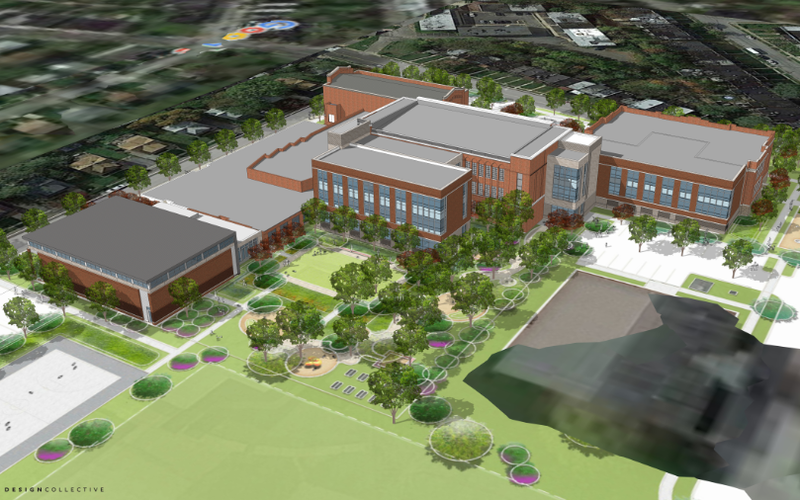 ft. renovation with addition project will absorb students from a closing school (Langston Hughes) and a reconfigured school (Arlington). Students are currently in temporary swing space at the Garrison MS. The project is scheduled for substantial completion in the summer of 2018 and opening for students September 2018.